For information on OA election procedures please see the following page about how to run elections or contact any Lodge Officer. The Troop Rep Program as defined by National. Because it is a leadership position, the Troop Rep needs to be approved by the Lodge and applications will be taken whenever your troop feels like they want one. Each troop should have one so that there can be a communication link between the lodge and the troops. We, the lodge, feels that it is necessary for each Troop Rep be able to attend atleast 50% of the LECs and most of the other lodge events. Did you like your ordeal? Do you want to be "a friend" to the next lodge chief? Well, The Ho-De-No-Sau-Nee Lodge Elangomat Program is the place to be! It is a program that is taken seriously and it is necessary for the future of the lodge. Lodge members of any age can volunteer and be one. There is a training prior to be sent out into the ordeal, plus all elangomats get treated like a member. Another major part of the ordeal weekend is the ceremonies team. They are incharge of what you see when you become a new member. The team is always looking for people to help them. Anyone can join the team. Do you want to be a leader within the lodge? A future lodge chief perhaps? Well, all member should attend the Lodge Leadership Development Course. It takes place one day (usually in early spring) at one of our camps and it teaches you what it takes to be a leader in the lodge in addition to being fun and enjoyable. You also meet many people in the lodge! Keep looking out for a sign up sheet and information on this site to participate. 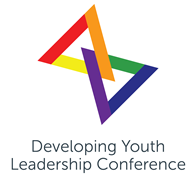 NLS / DYLC - Click on the patch for more information. 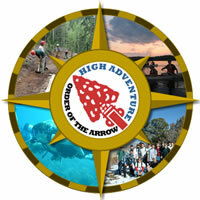 OA High Adventure: The Order of the Arrow is trying to attract more involvment within the BSA. To do this, national is offering 3 specific programs that are considered HIGH ADVENTURE. The 3 are: Wilderness Voyage, Philmont, and Ocean Adventure. For more information, click here. JUMPSTART: The Order of the Arrow has developed a way in which new arrowman can better understand their ordeal and what lies ahead in the Order of the Arrow. For more information, click the logo.